Changes in land use, climate and human demands impact the ecosystem benefits people depend on, such as food production and water quality. Click the image to explore how these impacts could play out in the future, based on the Yahara 2070 scenarios. 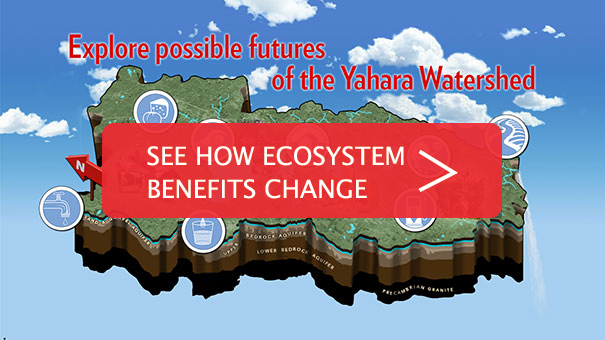 This infographic explains what factors are helping and hindering efforts to improve water quality in the Yahara watershed. Click the image to view the larger, interactive version.